An archway leading off from Riquewihr’s main street. 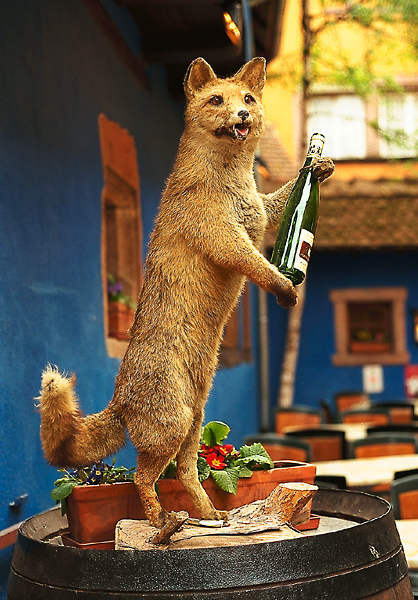 A sidewalk fox draws visitors inside for wine tasting in Riquewihr. 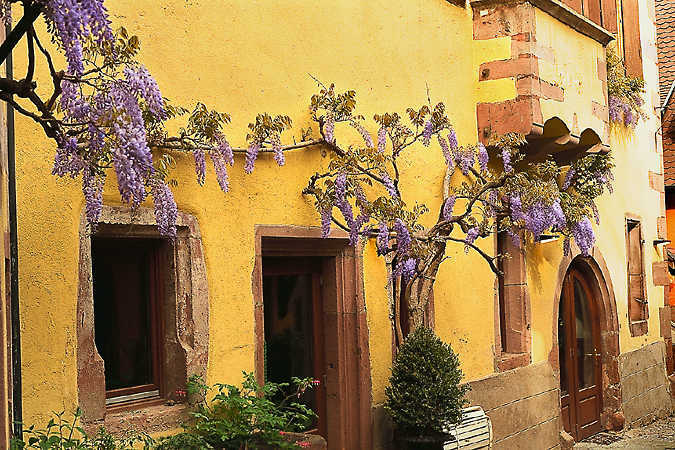 Creeping wisteria adorn a wall in Guebwiller. 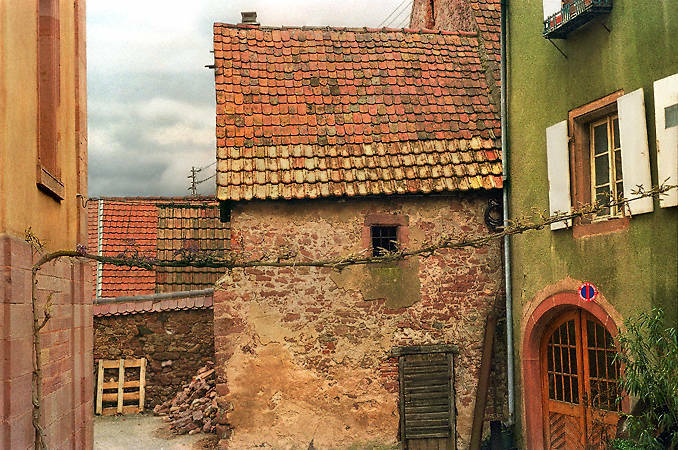 A view inside a courtyard in Guebwiller. 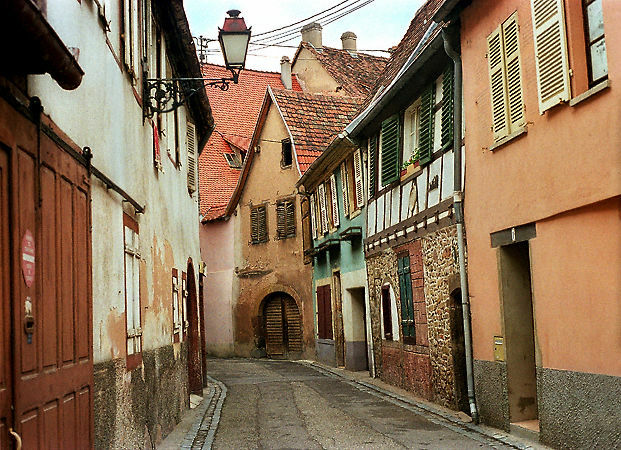 A view down a back street in Guebwiller, on Alsace’s Route de Vin. Late-night ambiance in Strasbourg’s Petite France neighborhood. 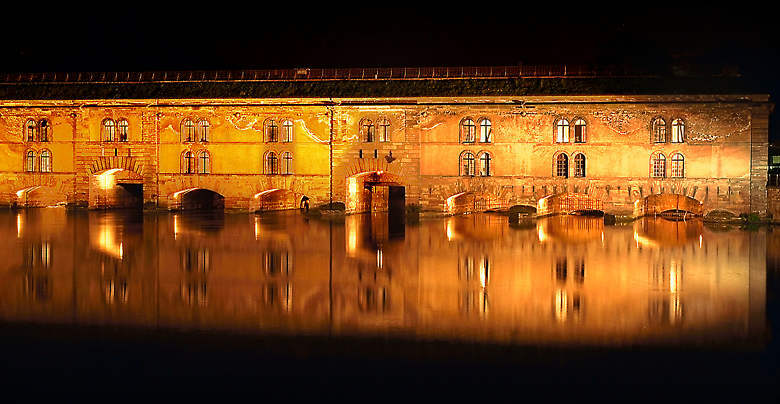 Le Barrage (dam) de Vauclause was built to protect Strasbourg from water-borne attack in the seventeenth century.